One of the most popular server RAID controller chip and HBA controller chip out there is the LSI SAS 2008. 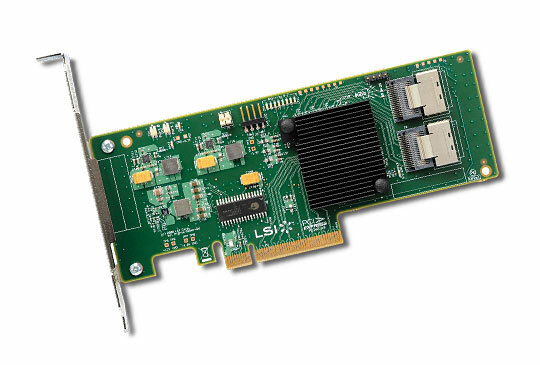 The LSI SAS 2008 is a 6.0gbs SAS 2 or SATA III based controller that features eight ports and native PCIe connectivity. In the forums we have maintained a LSI Controller Mapping between LSI controllers and their OEM counterparts. This post will be updated with both information on the LSI SAS 2008, including how to flash cards between IT and IR modes for initiator-target and RAID modes, as well as the different OEM models commonly found in the marketplace. 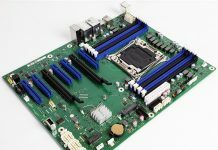 Oftentimes LSI SAS 2008 controllers are less expensive when found as OEM parts from Intel, Dell, HP, IBM, Supermicro and others, so it makes sense in many cases to purchase the OEM versions of the LSI SAS 2008 based cards such as the 9211-8i. Uses sas2flash utility to flash to IT/IR mode (when possible). The following listing is for the RAID Controllers and HBAs based on the LSI SAS 2008 SAS 2 and SATA III RAID controller. LSI original SAS 2008 based controller, all cards are PCIe 2.0 x8 unless otherwise noted. IBM 6 Gb SAS Host Bus Adapter (46M0907) – LSI 9212-4i4e – 4x Internal SAS 2/ SATA III and 1x 4 SAS 2 SFF-8088 external connector. Fujitsu D2607 – Rebranded LSI 9211-8i ? Intel RS2WC080 looks identical to the LSI 9240-8i and IBM M1015, but supports RAID 5 and RAID 50 like the 9240-8i. Lenovo 67Y1460 is a barely re-branded LSI 9240-8i. Feel free to contribute to anything here by posting in the LSI Controller Mapping post. We need community feedback to make this as useful as we can for everyone. Bookmarked. Great job. Please keep updating. great resource. thanks for this. are you guys doing other LSI chips like the sas 2108 and 2308 also? Thanks for this, so many cards based on the LSI 2008 chip, could you show more detail differences of these cards besides the brands? Do they have the same performance or not? the HP SC08e is a relabelled LSI 9200-8e. The original labels are still visible on the pcb. I have a Dell PERC H200 LSI 2008 chip and works a corei7 “Lynnfield” (45 nm) now I have a new intel corei7 Ivy Bridge but not working. Somebody know if is possible works this card on my intel corei7 Ivy Bridge? Any one know how to get SATA drives connnect to this controller (9211-8i in IT mode) to show up as removable in Server 2012 R2? The second seems like a port of the 9240i. These cards are kind of unique though as they only fit in the Pike slot on select Asus server and worksgation motherboards. The actual SAS or SATA connectors the card uses are also built on to the motherboard and are just unusable until you add in the card. I found it to be a good way to leave room for expansion later on if you are looking for something less expensive in a server build. Great List by the way. It was exactly what I was looking for. I have an Asrock Extreme 11/AC motherboard. It has an inbuild Lsi sas 2008 controller but i am not sure if it can be flashed to support in IT mode so that I can passthrough it to my windows server 2012 r2 vm on ESXi. Ravi – it should be. There is lots of information on this topic on the STH forums. I had found the fix for this issue. I did not need to flash it to IT mode to support this. This might help others. The issue was that the vm was not able to start and then after looking at the vmware.log, I found the cause of this issue.